In preparing these volumes, the editors adopted a conservative approach to taxonomy, relying primarily on Peters Checklist (1934-1986)—a traditional classification scheme. Taxonomy has always been a volatile field, with frequent arguments over the naming of or evolutionary relationships between various organisms. The advent of DNA fingerprinting and other advanced biochemical techniques has revolutionized the field and, not unexpectedly, has produced both advances and confusion. In producing these volumes, Gale consulted with noted taxonomist Professor Walter J. Bock as well as other specialists to obtain the most up-to-date information possible. When scientific controversy over the classification of a particular animal or group of animals existed, the text makes this clear. In addition to IUCN ratings, essays may contain other conservation information, such as a species' inclusion on one of three Convention on International Trade in Endangered Species (CITES) appendices. Adopted in 1975, CITES is a global treaty whose focus is the protection of plant and animal species from unregulated international trade. 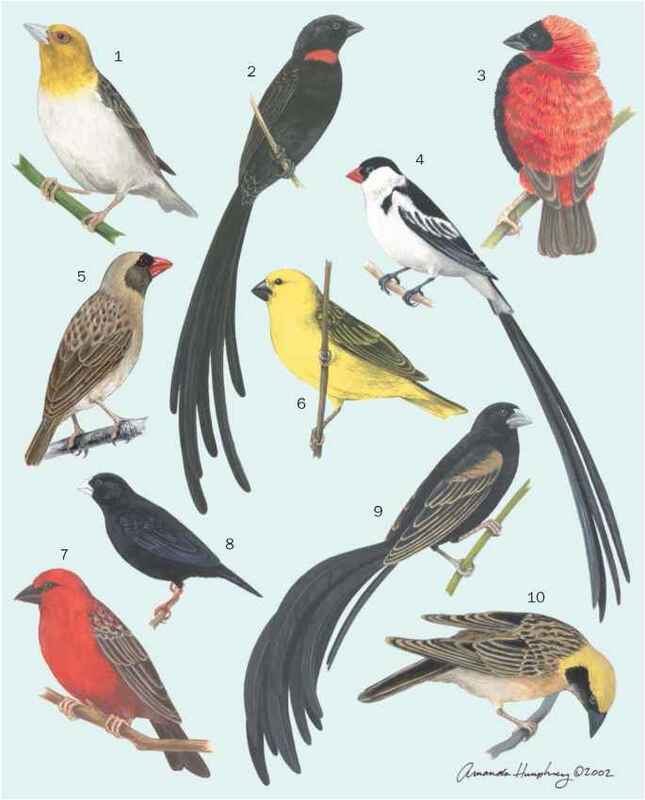 Grzimek,s provides the following standard information on avian lineage in Taxonomy rubric of each Species account: [First described as] Muscicapa rufifrons [by] Latham, [in] 1801, [based on a specimen from] Sydney, New South Wales, Australia. The person's name and date refer to earliest identification of a species, although the species name may have changed since first identification. However, the organism described is the same. Other common names in English, French, German, and Spanish are given when an accepted common name is available.